Vietnamese consumers continued to show confidence in the final quarter of 2018, placing their country in the fourth position on the global consumer confidence benchmark, according to the latest The Conference Board Global Consumer Confidence Survey, in collaboration with Nielsen, a global measurement company. 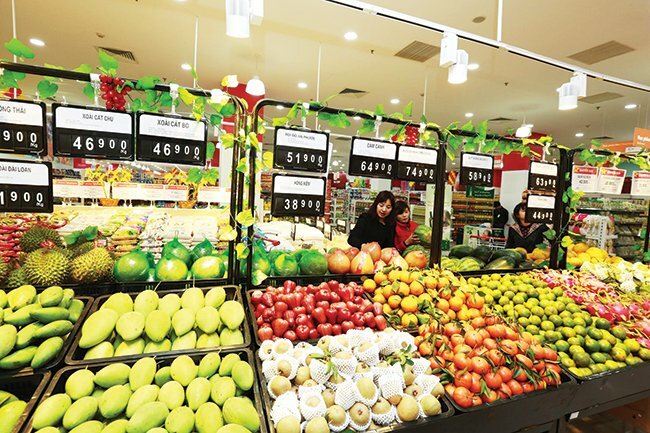 Vietnam was ranked fourth in the world for having the most positive consumers, with a Consumer Confidence Index (CCI) score of 122, after India, the Philippines and Indonesia with their respective scores of 133, 131 and 127. Compared with the third quarter of 2018, the Vietnam CCI score fell by seven points, which was highly predictable. With 2019 just around the corner, the Vietnamese people were understandably anxious about their year-end bonuses and spending for the Lunar New Year, or Tet holiday, was influenced by a less than positive experience of Tet in the previous year, said Nguyen Huong Quynh, managing director of Nielsen Vietnam. However, with the steadily uptrending CCI score throughout the year, Vietnam’s overall confidence level as 2018 concluded was still high above the global and regional average. The Vietnamese people are less positive about their job prospects and personal finances. Some three-quarters of respondents believed they had good or excellent job prospects or that they would be in good or excellent financial condition within the next 12 months. Other key areas of attention for Vietnamese consumers were their family members: They reported being more attentive to their parents’ welfare and happiness (19%) and children’s education and/or welfare (8%). “With inflation being well-managed throughout the year (3.4% in the final quarter), leading to more stable and predictable living costs, we can see that food prices or utility bills are no longer concerns for consumers in this quarter. With this extra peace of mind, they can now divert their care to more important matters, such as their children’s education and future,” said Quynh. Vietnam continued to come first in the Asia Pacific in the fourth quarter of 2018 for having the region’s most avid savers at 78%, some 6% higher than the previous three-month period, the highest since the third quarter of 2016, followed by Hong Kong (71%), India (68%) and Thailand (67%). The survey said that even with this considerable increased trend toward savings, Vietnamese consumers’ willingness to spend on big-ticket items, such as new clothes, holidays or out-of-home entertainment, remained the same or even increased slightly. These consumers were less likely to spend on new tech products (43%), home improvements or decorations (39%) and medical insurance premiums (36%). Historical data showed that the Vietnamese people’s willingness to spend on technology or health-related products is on the rise. Therefore, enterprises should monitor the trend closely to avoid missing out on opportunities, she suggested. The survey polled more than 32,000 online consumers in 64 countries and territories throughout Asia-Pacific, Europe, Latin America, the Middle East/Africa and North America.